Parsley is one of the most widely used herbs in cooking and in garnishes throughout the world. Native to the Mediterranean, it is most widely cultivated in that region for consumption throughout the world. Besides its more popular use as a garnish in European and American cuisine, parsley can be successfully used to flavor soups, stews, casseroles and a host of main dishes. It is a versatile, useful and essential herb to have in your repertoire as a chef. But that is not the only reason to grow parsley. Extremely high in vitamin k, parsley allows for a nutritional boost when consuming it. It is quite high in vitamins a, c and b as well. Because most people utilize parsley for its color and flavor in a recipe, it is not widely touted as the nutritional powerhouse that it really is. There are a multitude of benefits in consuming parsley like warding off cancer and boosting the immune system. Parsley can even help to control allergic responses, suppressing the body’s overstimulated immune system. It is capable of controlling homocysteine which is a necessary antioxidant that our bodies need. When its levels are elevated, it tends to exasperate the blood vessels. 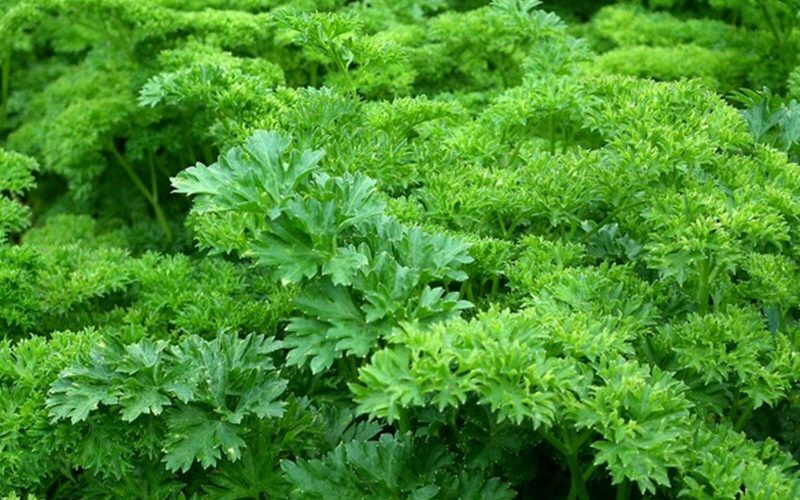 To grow parsley best, you will need moist soil and for it to be well drained. It grows the best in mild to moderate climates. If you decide to plant in your garden, it is best to grow directly in the ground from seed. It does require full sun and adequate space for root growth. If you desire butterflies in your garden, parsley is effective at attracting them, particularly swallowtails. Their caterpillars will feed on the plant for two weeks before cocooning. On the other hand, if you are growing parsley as a crop, the beautiful butterflies may be viewed as a pest. Because parsley is an attractive plant to many insects and animals, you should use barrier fencing to help protect the plants. Birds, bees and butterflies are highly prone to visit the herb for the nectar of the flowers. There is one other thing to keep in mind with parsley, when consuming it. Because of its very high levels of vitamin k, when consumed in high quantities, it can inhibit some medications. Vitamin k acts as a blood clotting agent and may conflict with some blood thinning medications. Parsley is a wonderful herb for most types of cuisines and for its potential health benefits. There are a lot of ways to utilize this powerful little plant.